Drain inspection today has become second nature for Contractors, Engineers and Architects to specify checking either new or existing systems. 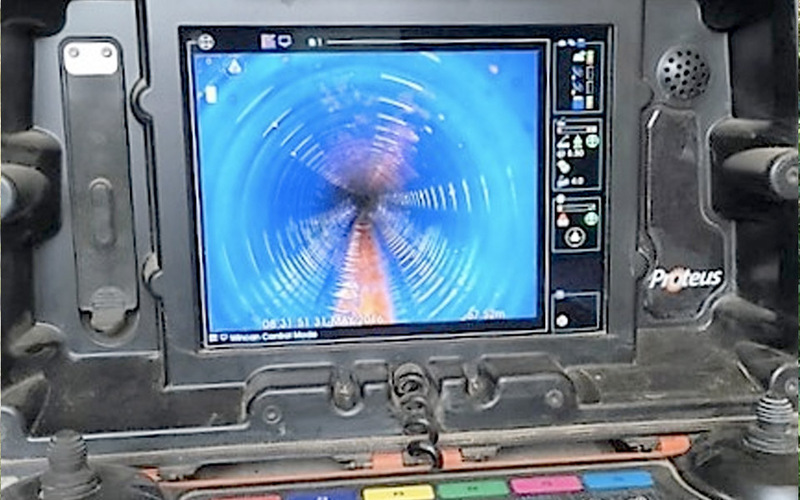 Many drainage contractor's do this work to various levels of quality, accuracy and standard. Drainflow operate 2 CCTV units, 1 kitted out with the high quality Mini-Cam Proteus, and the other with the Ipek Rovver which links via a van based computer to record simultaneously both the footage and the full structural report in digital format. 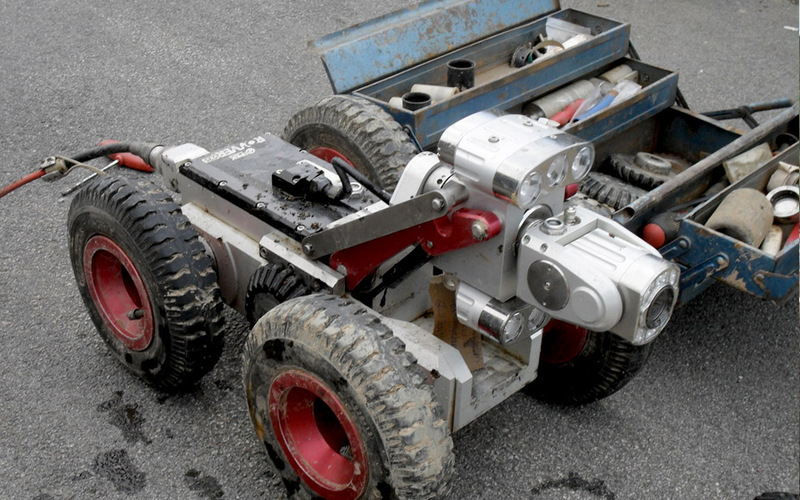 Both our push camera and tractorised systems link through this technology. All cameras have built in sondes which allows for sonar drain tracing to take place to accurately locate the position of the camera or a defect found at the time of survey. We also operate a battery powered system which records to a USB or internal hard drive to enable surveys to be undertaken from remote locations and is integrated within Wincan VX. Wincan VX is the updated platform recognised worldwide as a leading software for sewer and drainage reporting. This saves valuable client time in analysis of the report with major defects very easily located within the report. Drainflow verify all reports back in the office to ensure accurate coding and interpretation of any defects found within the survey. We then try to provide solutions to these problems in a professional manner with free, ongoing technical advice and recommendations. Our Autocad mapping service, ideal to assist in achieving ISO14001, allows for a complete site drainage system to be overlaid on to a topographical survey (which we can supply) providing accurate information which can be archived and updated when any changes are made on the site. Our clients are now benefiting from our Company being at the leading edge of technology and providing a total service which reduces their time and involvement in the project. 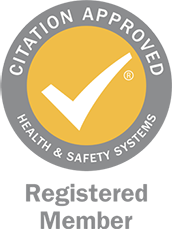 We are also very competitive within our industry as we keep our overheads low and offer a very personal service. 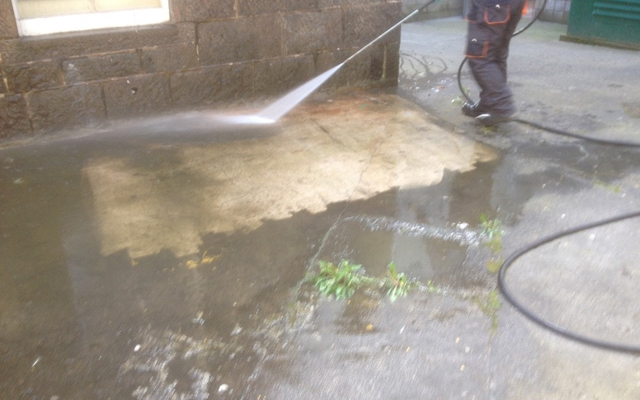 Now commonly used to clear blocked drains and to pre-clean drains and sewers for maintenance or prior to inspection. Drainflow own units suitable for cleaning pipework from 100mm to 375mm diameter. Operatives are trained and certified in the safe use of this equipment. Most drainage contractors employ this equipment but it has to be managed effectively to avoid potential pollution and safety incidents. Removal of debris and fat deposits from drains and sewers. Removal of debris from slotted car park drains. Removal of debris from car park gullies. Cleaning of surfaces i.e. lock block, brick, tar etc. Maintenance to ensure down time in your working environment is kept to a minimum. Using our water driven cutting tool, tree roots can be cut back within the drainage system. 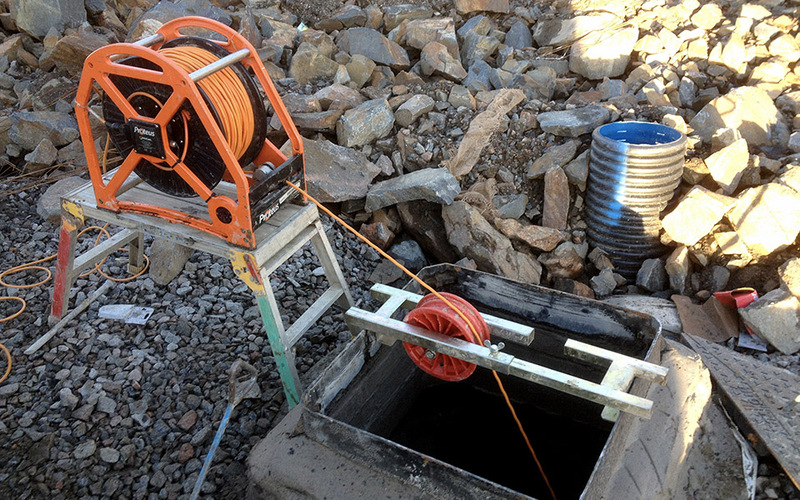 Since 2014, Drainflow have been offering a no-dig solution to repair damaged drains and sewers. ​Based on our cctv report, we can advise as to whether patch lining is a suitable option to repair cracks, fractures, infiltration, root ingress and damaged PVC pipework. ​The drain is pre-cleaned using H.P water jetting techniques and the damage to the pipe is accurately ascertained using our cctv system. A resin impregnated reinforced fibre glass mat is inserted into the drainage system using air rods, attached to a rubber packer which is then inflated to the correct pressure. After approximately 2 hours, the packer is deflated and the resin patch is then bonded to the existing pipe wall. ​Benefits of Patch repairs are significant savings over traditional excavation, especially where re-surfacing or concreting may be necessary to re-instate traditional excavations. ​We have now carried out over 100 successful repairs in both the Construction and Oil Sector in Aberdeen City, Aberdeenshire and the Highlands.